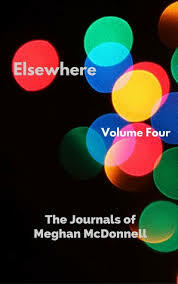 Elsewhere is the fourth installment of the personal journals in which, for almost 30 years, writer Meghan McDonnell has chronicled her life beginning at age eight through present day. With searing candor and tenderness, her musings on daily life and observations of family, social and romantic relationships coalesce in a commentary on challenges, facing down passion and fear, and American life in the 21st century. 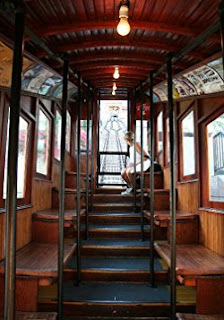 Wide in scope and vivid in detail, her journals are her confessional love letter to the world. Join her on a fearless, vulnerable, sometimes painful and quixotic, but always honest journey, also known as the human experience. Readers who love Cheryl Strayed or Karl Ove Knausgaard will enjoy this author. In volume four of this addictive and vicarious series, McDonnell visits New York and London, walks away from her first love, begins her foray into acting, wades through family friction, and goes back to college. Meghan McDonnell was born and raised in Seattle, majored in English at Western Washington University, and lived in Los Angeles for four years. She has held countless day jobs and recorded her experiences in her journals. When she’s not writing or reading, she spends time outdoors, solves crossword puzzles, cleans her house, does yoga, skis, watches vapid and extraordinary TV and movies, pretends to garden, obsesses over true crime podcasts, and imagines what it would be like to be an FBI agent. She lives in Walla Walla with her husband and two cats. It was nice getting back into this series again. Meghan has a slightly brighter outlook at times. I gave this book a four star rating and got a copy in exchange for an honest review.